Blacksburg Golf Packages offers great golf packages throughout an area which includes and covers Wytheville and Floyd, as well as Blacksburg itself. The area sits among the beautiful and majestic Blue Ridge Mountains which makes for a very scenic and enjoyable Virginia golf package. Blacksburg is the home of Virginia Tech which is Virginia's largest University. The Blacksburg area is a great location and golf getaway destination for the Midwest and Northeast with easy access to the area off of both Interstate 77 and 81. 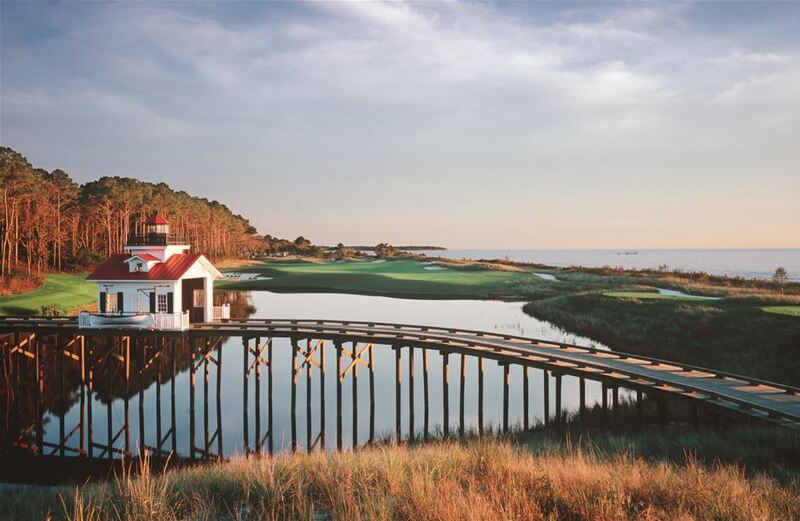 With the interstate access and the relatively short distance is from Ohio, Pennsylvania, New Jersey, and Northern Virginia it makes for a great Virginia golf vacation destination. Fredericksburg, rich with history, is a great destination for your golf vacation. Located midway between Washington, D.C. and Richmond on I-95 Fredericksburg provides easy travel from both the North and the South. 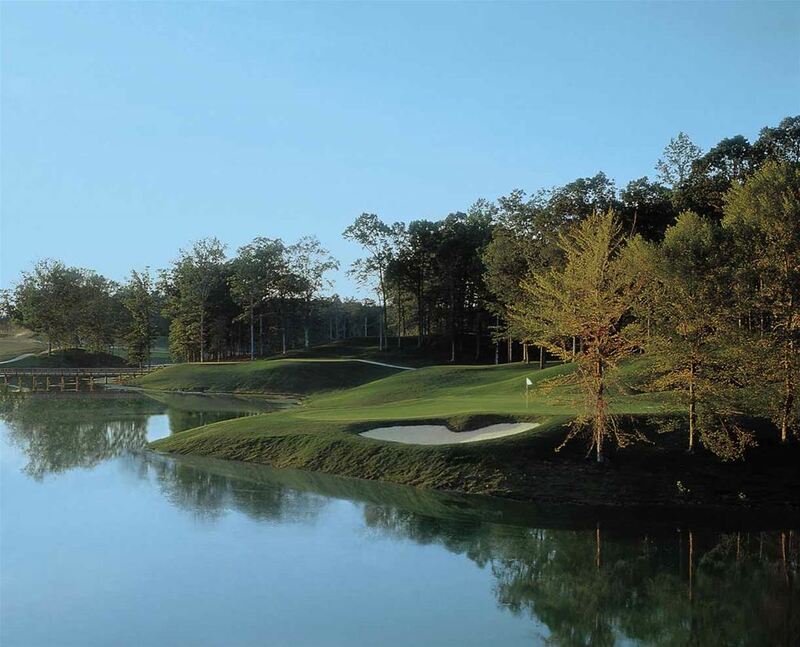 Golfers can enjoy some of the finest golf courses in the area with Augustine, Lee�s Hill, and The Gauntlet. The rolling hills, natural wetlands, and forests of pines, oaks, poplar, and hickory create a gorgeous setting any golfer will appreciate. 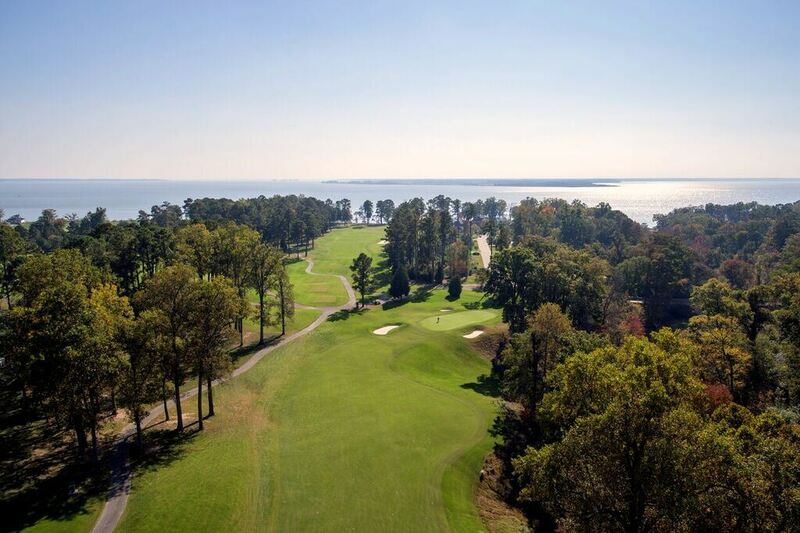 Hampton Roads offers some absolutely amazing Golf Courses. Most of the courses have been nominated by the Golf Digest to be some of the best courses to play on for any type of skill golfer. The green and fairways are very well kept. You will enjoy a challenging but yet very fun and enjoyable courses to play on. Here are some courses the My Golf Vacation has to offer you: Draper Valley Golf Club, Wytheville Golf Club, Hunting Hawk Golf Club, Independence Golf Club, Sycamore Creek Golf Course, The Club at Viniterra, The Crossings Golf Club, The Federal Club, Arnold Palmer Course - Bay Creek, Cypress Point Country Club, Hell's Point Golf Club, Heron Ridge Golf Club, Jack Nicklaus Course - Bay Creek, Signature - West Neck, and Virginia Beach National Golf Club. 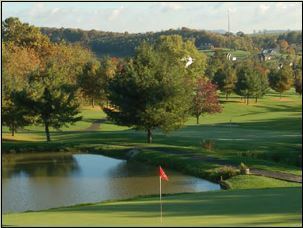 Richmond golf area provides a wide range of golf courses and range in price. Whether you are just looking for budget friendly trip that provides good golf and easy travel from the North or if you are looking to explore a new and upcoming golf destination and play some great golf courses, this just may be the area for you! Richmond, about 50 miles from Williamsburg, is the capital of Virginia. William Byrd II named Richmond after a small city south of London. Some of the nation's most significant moments in history happened here, along with 350 years of history carried on by the museums, architecture, and Civil War Sites. Enjoy some of the local attractions such as NASCAR, whitewater rafting and canoeing on the James River, and even geocaching while on your custom golf trip to Richmond. Located just a couple of hours Southeast of Richmond and a little over 3 hours from Washington DC, the Virginia Beach area provides a Southern Beach feel with less than a day's drive from most Northeastern areas. Providing a great coastal golf feel and excellent golf courses, why drive any further South? To go along with terrific golf the area also gives you incredible views of the Atlantic Ocean, a 3-mile boardwalk stretching along the oceanfront, beautiful, wide beaches and a hopping nightlife! Spend your morning on the links , afternoons on the beach, and evenings living it up on the strip. Williamsburg, Virginia is located less than a day's drive from most of the Northeast, and features unbelievable golf resulting in Williamsburg rated as one of the top 25 golf destinations in the world. Williamsburg courses have a wealth of world renowned course designers that have put their touch on the design and make of these world class golf courses. Williamsburg boasts some of the best golf courses in the United States, and we hope to provide you with a golf package that will not only be memorable but provide a value with our customers. Williamsburg is world renowned being near historic and amusement attractions. Play golf, explore living history at Colonial Williamsburg, Yorktown, and Jamestown and enjoy the rides and shows at Busch Gardens. Enjoy 3 rounds of golf at Kiskiack, Viniterra, and Colonial Heritage Stay 2 nights at the George Washington Inn, located within walking distance to Colonial Williamsburg. The George Washington Inn, soon to become a Radisson hotel, offers deluxe rooms and connecting suites that can sleep up to 8 people. 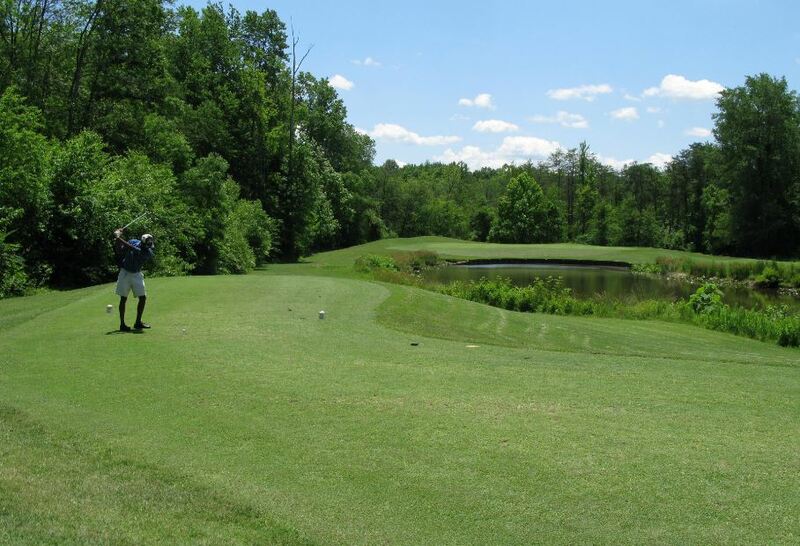 Enjoy great golf around the historic Williamsburg area. 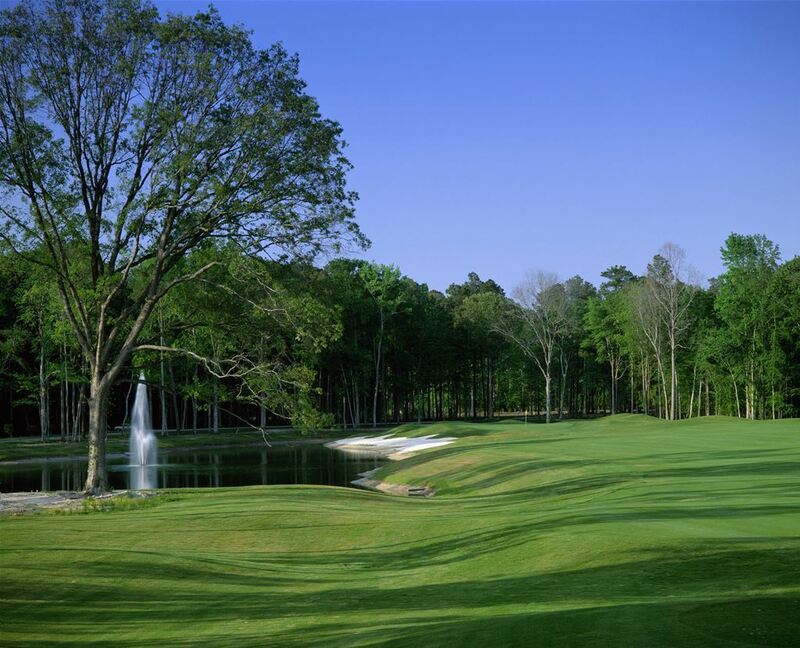 The Fredericksburg Golf Special provides a quick getaway with 2 nights lodging and 3 rounds of golf at your choice of the following courses: Lee�s Hill Golf Club, Cannon Ridge Golf Club, The Gauntlet Golf Club, and Augustine Golf Club. While not on the golf course, enjoy strolling around the Historic District which has more than 350 buildings dating to the 18th and 19th centuries. Lodging for this package is at the Clarion Inn Fredericksburg featuring a hot, free breakfast, indoor pool and hot tub and a seasonal outdoor pool.